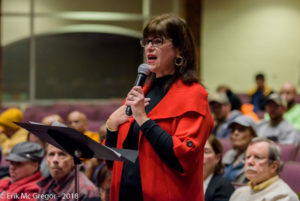 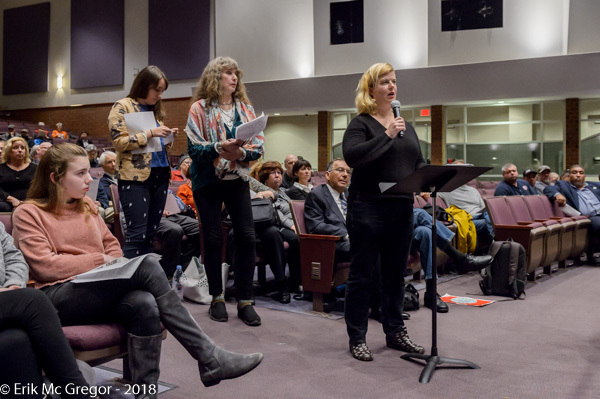 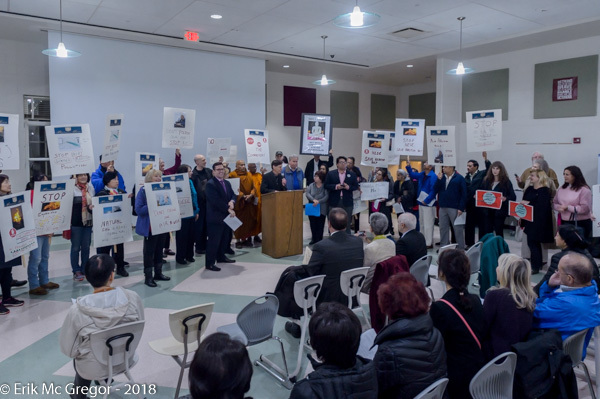 Somerset, NJ – The NJ Department of Environmental Protection announced their only public hearing so far on the NESE compressor station and gas pipeline proposal on November 5, 2018, giving the community an opportunity to express their concerns on the Raritan Bay pipeline and compressor station proposal. 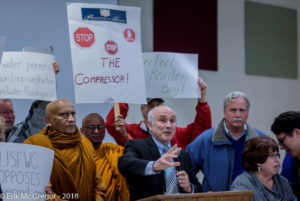 Prior to the hearing, in the cafeteria of Franklin High School a short rally was held with elected officials, impacted residents, and environmental groups to learn about the dangers posed to the health and safety of residents, visitors, wildlife, and the environment from emitted toxic gas, noise, potential fires, and explosion. Community efforts have helped delay the pipeline project by more than a year, and the demands for a public hearing on the pipeline proposal have been finally met. 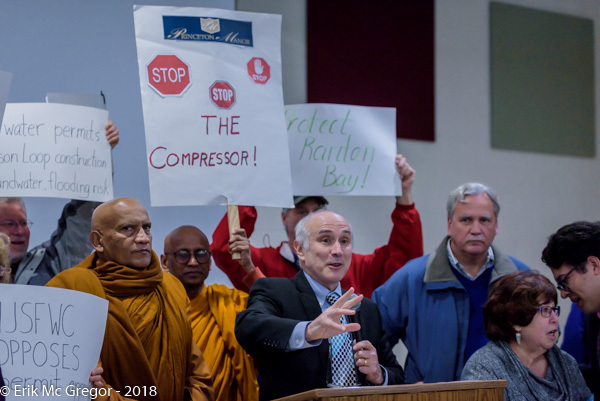 Williams Transco is proposing to build a 32,000 Horsepower compressor station (gas engine) that could affect the air of South Brunswick, Franklin, and Princeton area residents. 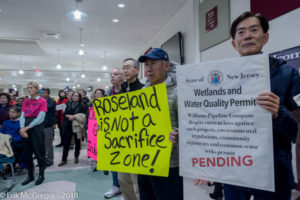 The proposal also includes 23 miles of pipeline through the Raritan Bay which will impact sensitive marine life, tourism, and unleash trapped heavy metals currently in the Bayshore floor into the water.